Current federal policy, including the Hyde Amendment, bans insurance coverage of abortion for anyone who qualifies for public insurance coverage, such as those who use Medicaid or Medicare, federal employees, Peace Corps volunteers, and members of the military. These bans disproportionately impact low-income people, women of color, immigrants, and transgender & gender non-conforming people. 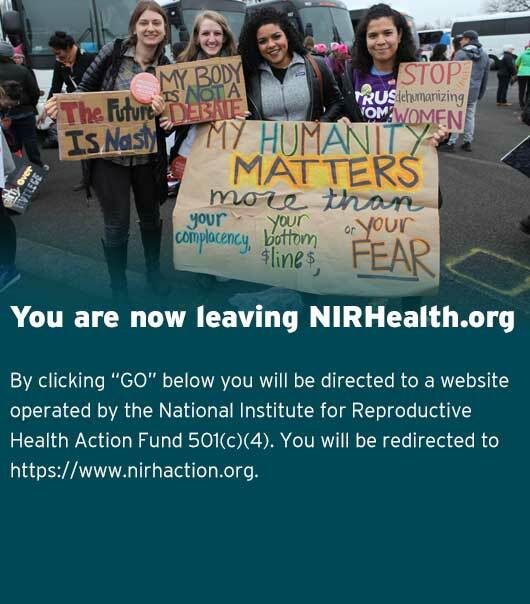 NIRH works on the local and state level to restore public coverage of abortion, so that all people can access the reproductive health care they need regardless of where their insurance comes from. Ending bans on insurance coverage of abortion is a matter of reproductive and economic justice. We are proud partners in the All* Above All campaign. Beginning this work in 2010, NIRH conducted ground-breaking research in anticipation of attacks on abortion coverage tied to the Affordable Care Act. Since then, we have worked with state advocates and directly with state agencies to achieve insurance coverage for abortion. On the local level, we have supported advocates across the country to work with their local government to pass resolutions calling for an end on abortion coverage bans and to oppose the Hyde Amendment through the passage of the EACH Woman Act. In June 2017, the Seattle City Council and Mayor built on their 2014 resolution that called for federal lawmakers to repeal all bans on public insurance coverage of abortion, by passing a proclamation in support of policies that support insurance coverage of abortion and funding for reproductive health services for all immigrants. This effort was led by Surge Reproductive Justice and Legal Voice, who also advocated for the 2014 City Council resolution that called for the repeal of federal bans on abortion coverage. Look at pictures of the City Council vote here.